Date: 18.04.2018 | House, Club, Disco | Tags: San Frandisco, Golden House Glitters, Seven Stars Records, Bronx Cheer, Pete Johnson, Andrew Jefferson, Trapped Ambitions, Bel Air | Download San Frandisco Vol. 3 (20 Golden House Glitters) (2018) for free. Di Saronno is simply a pro-active housy and noizy music project based in Italy.He spends most of the time of the year sailing around the 7seas, without losing the concentration to compose loud house beats and lyrics.This double-life give an overall mind freshness and positive energy to focus on the upcoming adventures and romantic experiences. 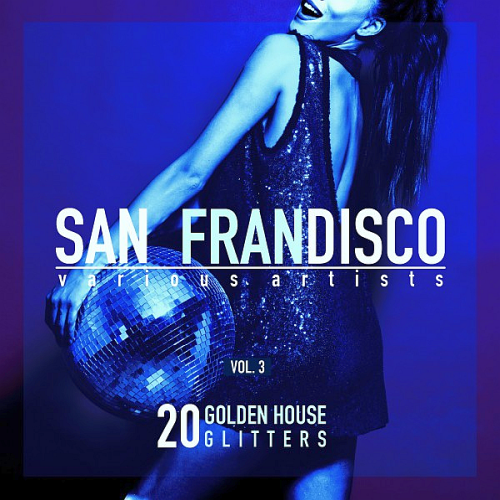 San Frandisco 20 Golden House Glitters collection with lots of interesting tracks! Dj Roland Clark joins forces with Bronx Cheer & Tim Nice who have been knocking out tunes and filling dance floors for the past 15 years or more. Now concentrating solely on Bronx Cheer they are coming up with some amazing tracks and have releases coming on some pretty sizzling labels soon to be announced!